Here's a complete list of Capri's free public beaches. Keep in mind that the beaches on the island are all quite small and get crowded quickly, so if you'd like to set up your umbrella at the water's edge, you need to arrive early! If you need to pack up a snack or lunch to take to the beach, stop in at the Salumeria da Aldo deli in Marina Grande...the panino caprese (tomato and mozzarella sandwich) here is the best on the island. If you are in the center of Capri town, near the Piazzetta Capri Pasta has excellent hot and cold dishes available to go! Marina Grande's free beach is next to the ticket office for the high speed ferry to the mainland. Though the beach is near the port, the water is always clean. Though the beach is lovely, it tends to get very crowded in high season! 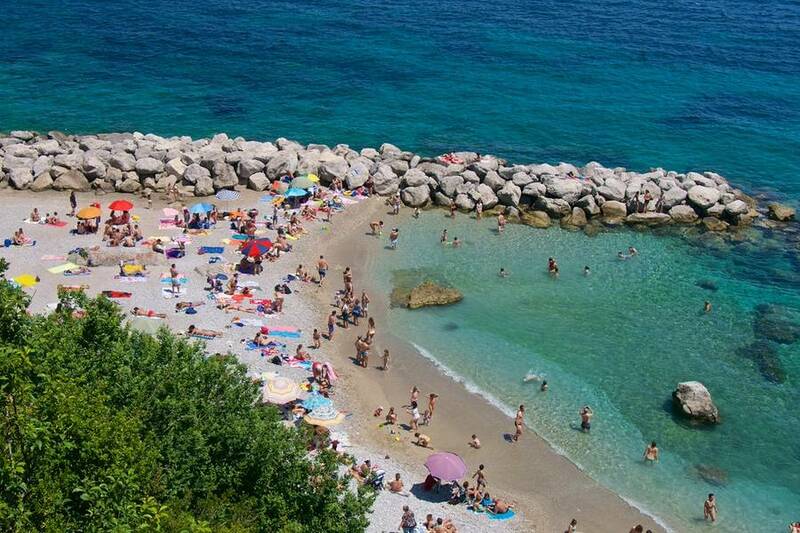 You can walk to this beach from the Church of San Costanzo or take a private shuttle boat run by the Bagni di Tiberio beach club (there is a charge). 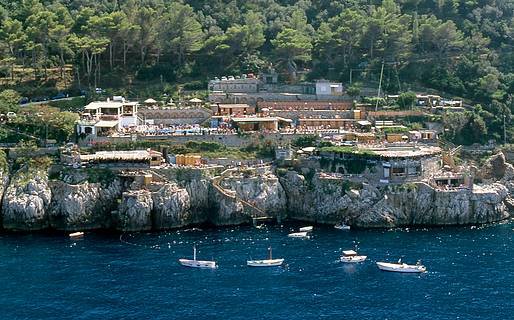 This is a small beach surrounded by cliffs which is perfect for families with children. Marina Piccola has two small free beaches on either side of the Scoglio delle Sirene beach establishment, and both tend to get crowded in high season. 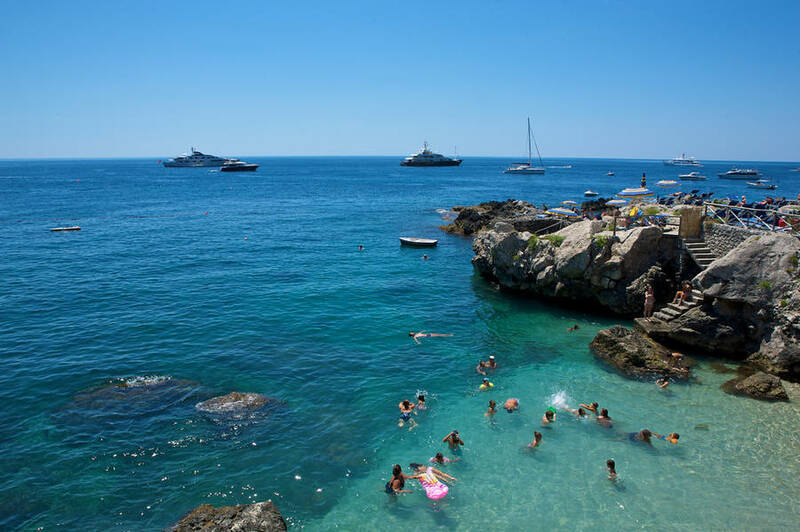 You can walk to these beaches easily from the center of Capri town...just take the stairs down Via Mulo (there is a public bus back up the hill). On the Marina Piccola beach you can hire beach umbrellas and deck chairs from the snack bar il Merendero, which is also a great place to stop for a sandwich. 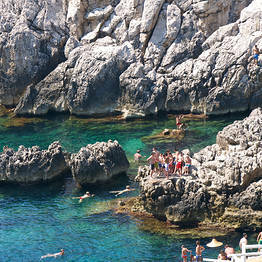 The water is crystal clear here, and you can swim against the backdrop of the Faraglioni rock formations. The only downside to this beach is that the sun sets already in mid-afternoon from this side of the coast. 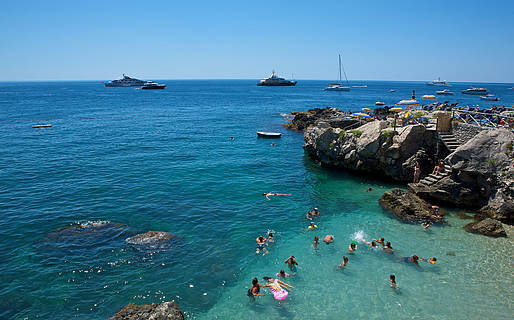 Marina Grande and Marina Piccola are the only beaches on Capri which can be accurately defined as "beaches", in the sense that there is a stretch of pebbles along the waterfront. For this reason, they are the only two beaches suitable for children and for adults who don't know how to swim. 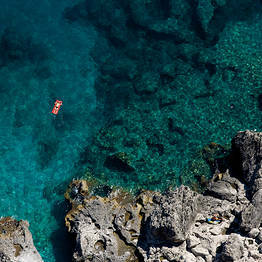 All the other so-called beaches on Capri are actually terraces carved into the cliffs by time and water, from which swimmers dive directly into the sea. One of the favorite spots on the coast for local islanders to spend a day at the seaside is the Punta Carena lighthouse. There is no real beach here, but a stretch of rocky cliffs where you can dive directly into the water (there are ladders attached to the rocks to climb back up easily after your swim). Settle in at the snack bar da Antonio at a sunny waterfront table with a plate of caponata and a glass of white wine with peaches, and enjoy the afternoon! 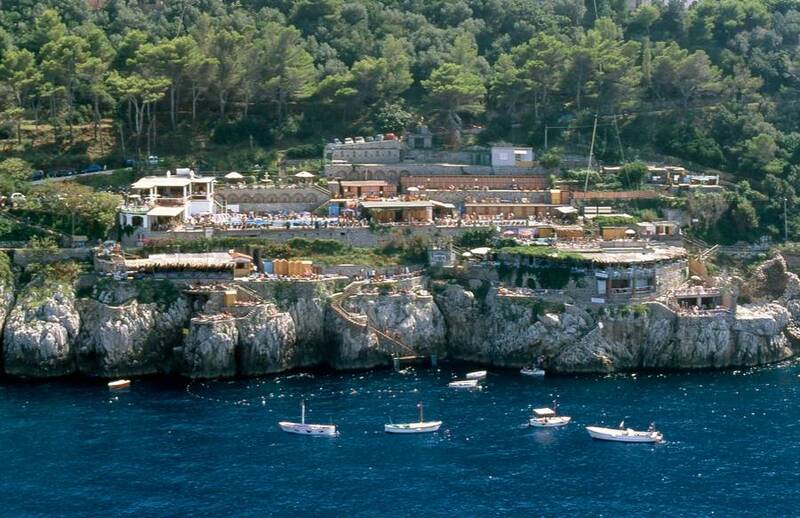 For a sunset cocktail, order a "Spritz" at the Malibù, the other beach café at the lighthouse which also organizes live music and entertainment on summer evenings. The other free beach near Anacapri is Gradola near the Blue Grotto. Together with the lighthouse, this stretch of coast has been awarded for the past few years the coveted "Blue Flag" certification for its clean water.